Engineered for elite-level racing, the Tracer Light® has captured multiple National, NCAA and World Championship titles. Showcasing lightweight, hydrophobic quick-drying fabrication the TLJA6 Jammer Swimsuit is woven with a powerful micro-filament that has enhanced stretch properties and memory retention to provide longevity and form-fit. Showcasing industry leading 18 stitch-per-inch seams, the Tracer Light® Jammer is incredibly durable and low-profile. Featuring Four-Way Lock Seams and intricately designed around the human musculature, the muscle-mapped panels of the Tracer Light® Jammer will lock the core in, with up to a 25% increase in zoned compression and can decrease body circumference by up to 5%. The end result is a compressive speed suit that reduces muscle strain, improves blood flow and promotes re-oxygenation of the muscle core for maximized performance in the water. FINA Approved. All stress points along the suit are reinforced with micro-stitch tacking to ensure suit integrity even under extreme strains. Contour the body and provide the strongest control available. TYR’s industry leading 18 stitch-per-inch seams are incredibly durable, low-profile, and offer superior range of motion (ROM). All Tech Suits are intended to have a super tight, compressive fit for maximum performance and a second-skin feel. Q: Is the suit see-through on the sides or back at all? A: Thank you for your inquiry. At this time we are not offering any special discounts on this suit. 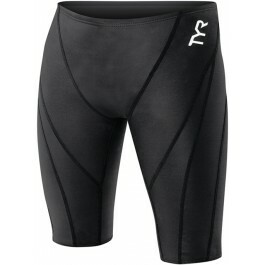 We are running a promotion on TYR.com, for FREE Ground Shipping On Orders Over $49! A: The fabrication of the Tracer Light Jammer is hydrophobic. Q: Many stores selling your products list the size as "26- inch" and then on their size charts they indicaate "waist - 26 inches". However your size chart says "26" and indicates "31 inches" for the waist. Which one is correct please ? A: Thank you for your inquiry. The chart on our site is the most updated size chart. Because technical suits are sized down so aggressively, a swimmer measuring (by tape) between 30 and 31.5 inches at the waist, would size down to 26 to take advantage of the zoned compression benefits our Tracer-B, Tracer Light and Fusion Technical Suits offer. Q: Is there a fina approved sign on the suit? A: Yes, The Tracer Light Jammer is FINA approved and showcases a FINA logo. The Tracer Light Tech Suit is intricately designed around the human musculature and features muscle-mapped panels to lock the core in. 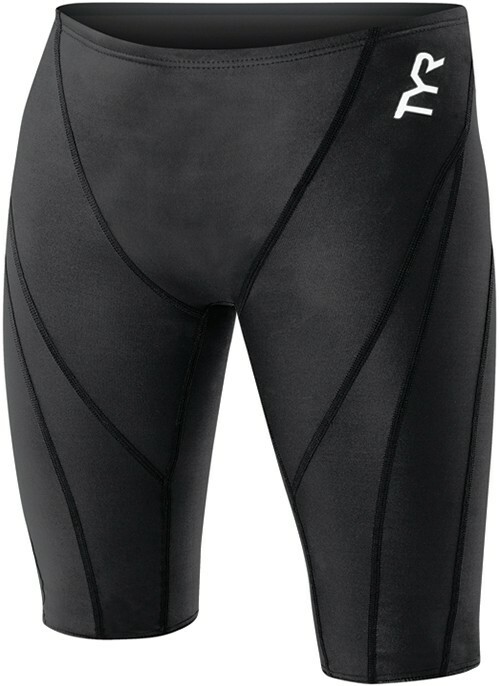 With up to a 25% increase in zoned compression, Tracer Light can decrease body circumference by up to 5%.